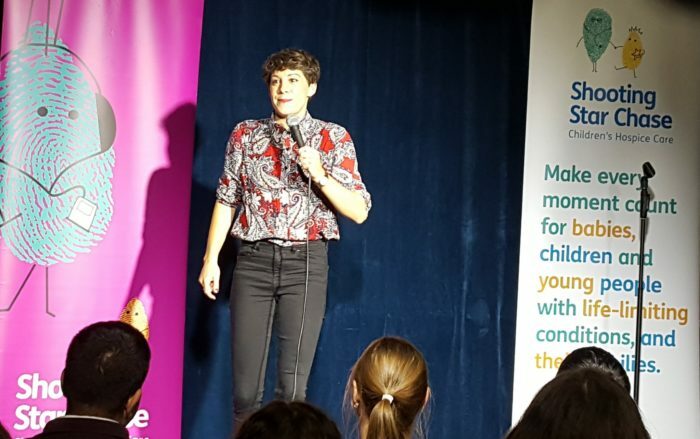 A star-studded line up of comedians entertained a packed crowd on Wednesday 10 October at George IV pub in Chiswick to raise some laughs and vital funds for children’s hospice charity Shooting Star Chase. 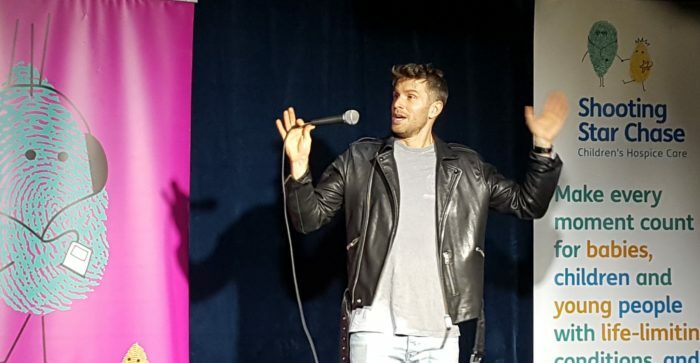 The audience were treated to the finest live stand-up comedy with Simon Brodkin (Live at the Apollo, Lee Nelson’s Well Good Show and the man behind the Theresa May P45 and Sepp Blatter cash stunts), Suzi Ruffell (Live from the BBC, Comedy Central at the Comedy Store) and Joel Dommett (I’m A Celebrity…Get Me Out Of Here!) 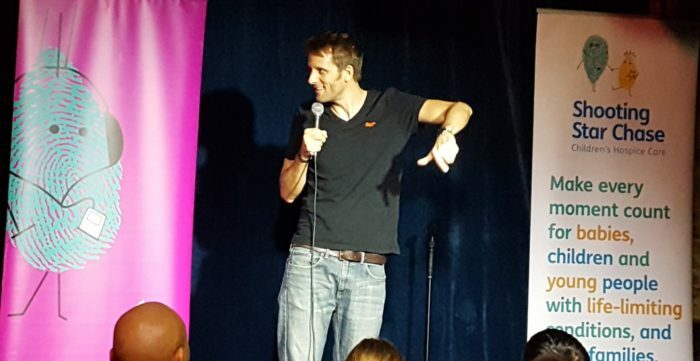 providing the laughs alongside funny man Luke Toulson (Russel Howard’s Good News) who was compere for the evening and instrumental in organising the event. The night was kindly hosted by long-standing Shooting Star Chase corporate supporter Fuller’s, at their pub The George IV in Chiswick, ensuring the audience were well fed and watered amongst the laughter. Now in its second year, the evening raised an incredible £2,250, which will help make every moment count for babies, children and young people with life-limiting conditions, and their families. Shooting Star Chase, which has two hospices in Surrey, Christopher’s in Guildford and Shooting Star Chase in Hampton, supports over 700 families throughout London and Surrey from diagnosis and throughout bereavement with a range of nursing, practical, emotional and medical care for the whole family.